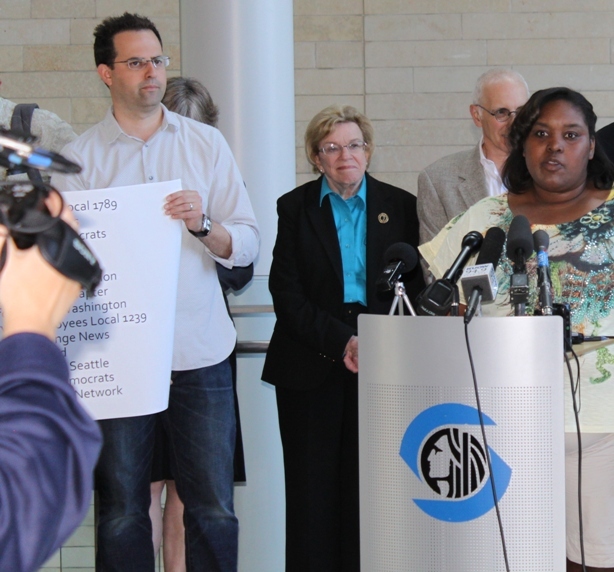 ← Support paid sick days – attend the City Council hearing on July 6th! I work at a place where we don’t have paid sick days. We sell food and medicines. We could be a grocery store, a pharmacy, a convenience store, even a gas station. It does not really matter. It is the same story pretty much wherever you go. We are sick at work. That is one of the dirty secrets of workplaces across America. People are coming to work sick because they either can’t afford to miss a day’s pay or fear the discipline they might get if they were to call in sick. But the times are changing. San Francisco and Washington, D.C., have passed a version of paid sick days. The people of Milwaukee passed a law there. At the beginning of this month, Connecticut became the first state in the nation to pass a paid sick days law. And then on June 16 the city council in Philadelphia passed paid sick days. The momentum is clear. People want paid sick days. And politicians are starting to respond to that overwhelming public support. We need paid sick days here in Seattle. Over 190,000 workers here do not have it. That means every day — today as you read this commentary — there is some worker in a Seattle restaurant sick. Some worker in a Seattle grocery store sick. There may even be a worker in a doctor’s office or clinic sick. There are kids in school sick and not going home because a parent can’t go and pick them up because they don’t have a paid sick day and can’t leave work. All this is messed up and needs to change. Why are paid sick days a good idea? Paid sick days allow for workers to stay at home when they are sick, get well and then come back to work healthy. This helps make food safer, helps prevent the spread of disease, and helps make our communities healthier. This entry was posted in In the news, Paid sick days, Personal story and tagged grocery store, Paid sick days, paid sick leave. Bookmark the permalink.